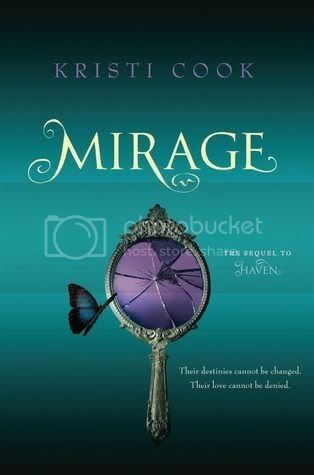 Mirage is the much anticipated follow up to Kristi Cook’s captivating debut novel, Haven. I was so excited to finally get my hands on a copy of this book, and to also participate in the blog tour for the book! I just couldn’t wait to read it. I remember in my review for Haven that I mentioned that the book and characters reminded me of The X-Men meets Buffy the Vampire Slayer. When I met the characters once again in Mirage, it felt exactly the same way! Mirage picks up a few weeks after Haven leaves off. It’s now senior year for Violet and the crew, and Violet wants nothing more than to see Aidan again after their long summer break apart. But their last year of school is not going as smoothly as they hoped. A rouge vampire is on the loose, killing innocent people, friends are pulling away from the each other, and people prove to be not at all what they seem. I love the characters in this series SO much. Violet is such a strong character. I love the relationship between her and Aidan. Ah, Aiden... He’s one of the very first male protagonists that I fell in love when I started reading YA books. He’s so mysterious and alluring; I just can’t get enough of him. Together, these two make a great couple. They definitely have their trials in Mirage, but their love is still strong. Violet also has some really great friends that we get to meet again in Mirage. I love Kate, Sophie, Whitney and Cece. Although there is quite a bit of drama between them, they are all such great friends to Violet. We are also introduced to some new characters along the way, on in particular that I’m still quite unsure about. I’m definitely hoping that we will learn a bit more in the next book. Overall, if you enjoyed reading Haven, you’re definitely going to enjoy reading Mirage! This series just gets better and better. I can’t wait to read the next book in the series! i haven't heard a lot about this one yet! thanks for the great review! Don't hurt me but I didn't read Haven! Yet, anyway. After your review of the follow-up and it being just as awesome as Haven, I think I'm going to have to add this one to the list. Love when you just hate to leave characters behind and then they come back in the next story and it's like old home week!